Combine all ingredients and dress with sherry vinaigrette. Adjust seasoning with salt and pepper if needed. Serve salad over leaf lettuce. Rinse lentils and place in a stock pot and cover with water by an inch. Add 1 T salt, 1 T dried thyme, 8-10 bay leaves, 8 peppercorns. Bring to a boil and reduce heat to a slow bubble. Cook just until lentils are tender. It doesn’t take long. You can have mush if you go too long. Drain off liquid and spread cooked lentils out on a cookie sheet. Place in the refrigerator for chilling. Place 2 C of water and 1 C of quinoa in a sauce pan. Add 1 t salt, 3-4 bay leaves, and 1 t dried thyme. Bring to a boil, reduce heat to low, cover and cook until the grain is translucent and water is mostly absorbed. Drain off any excess water. Spread cooked quinoa onto a cookie sheet and chill in the refrigerator. 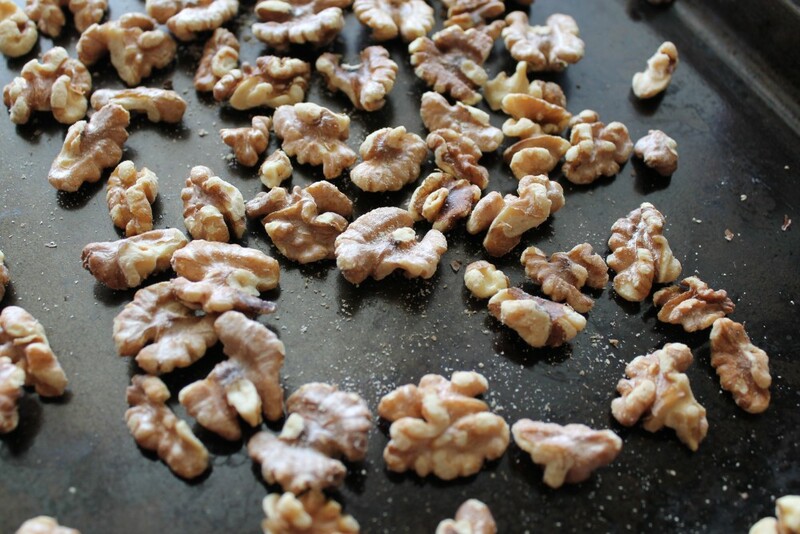 Place walnuts on a cookie sheet and place into a 350 degree preheated oven. Cook for 10 minutes. The fragrant aroma lets you know when it’s time to come out! These can store for several days. After antique shopping in Comfort, we decided to stop for lunch. 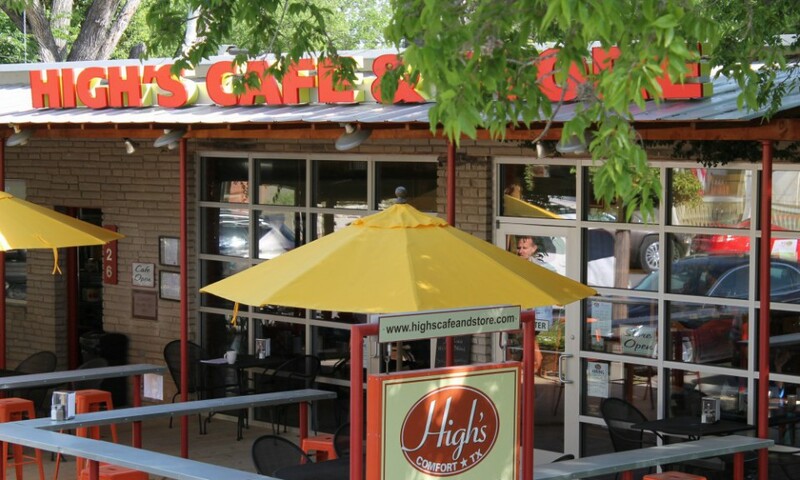 We walked by High’s Café and decided to go in and check it out. Wow! What a delicious experience! I had the Farro Beet Salad that was unbelievable. Didn’t want to finish it so I ate very slowly. Would love to have the recipe and share this new wonder with friends and family. Would it be possible to post the recipe for this wonderful healthy salad? Whenever in Comfort again, you can count on us stopping by and trying other new favorites. Hello and thank you. I will put that recipe on this week. I hope you signed up to follow the blog through your email.